When is the best time for children to quit their afternoon nap? Ah, afternoon nap, how we love you so – a much-needed reboot for many toddlers, not to mention their pooped parents or carers. But if you’re hoping to stretch your child’s kip well into their preschool years, here’s something that may dash your dreams. A Queensland University of Technology study has found daytime naps beyond the age of two may have a detrimental effect on sleep at night. Researchers found overwhelming evidence of “unnecessary” napping after reviewing more than 25 Australian and international studies on children under five. Study leader Professor Karen Thorpe says it’s widely accepted within the childcare sector that napping promotes growth, but research has found it has a negative impact on night sleep patterns, and the time it takes to fall asleep, in children older than three. The study, published in BMJ’s Archives of Disease in Childhood, also investigated the effect of sleep on behaviour, obesity and accidents, among other things. Prof Thorpe says the most consistent finding was a link between daytime napping and poorer quality of night sleep among children. “The evidence for napping and its impact on behaviour, health and development of a child is less clear,” she says. Report co-author Dr Sally Staton says Australian childcare services must by law make “appropriate provision” for sleep and rest, which in practice can range from no nap time to two-and-a-half hours. But there is little evidence to guide practice, she says. US sleep specialist Dr Rafael Pelavo tells Today children’s naps can be a complex issue in families. “If the parents want some time to themselves in the evening, then skipping the nap might be best for them. If parents are working late and want some time with their kids afterwards, it might make sense to have the children nap so they’ll be awake later in the evening,” he says. Ultimately, parents should consider the research and sleep on it. “There is a lot of variation in how much daytime sleep an individual child will need and it is important that parents and childcare staff work together to support children’s sleep during this time,” Dr Staton says. 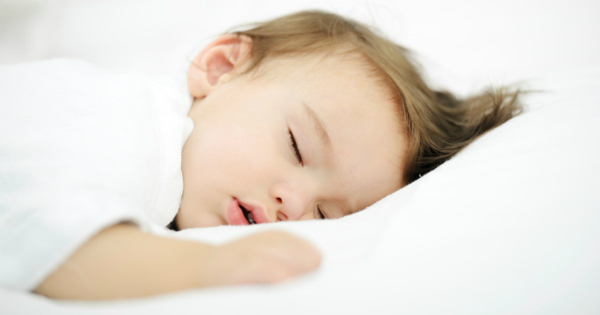 Does your child still need afternoon naps? Or how old were they when they gave them up?